I rode Racelite-8 with MapMyRide+! Distance: 52.95mi, time: 03:25:58, pace: 3:53min/mi, speed: 15.43mi/h. At the end of every ride, you have to stop the recording and switch off the gps. Today, I caught it just in time, there was only 3% left in the battery! Anyway, the ride: relaxed and easy to keep the speed up. This time of year is great for mushrooms. Some were as large as dinner plates, amazing. 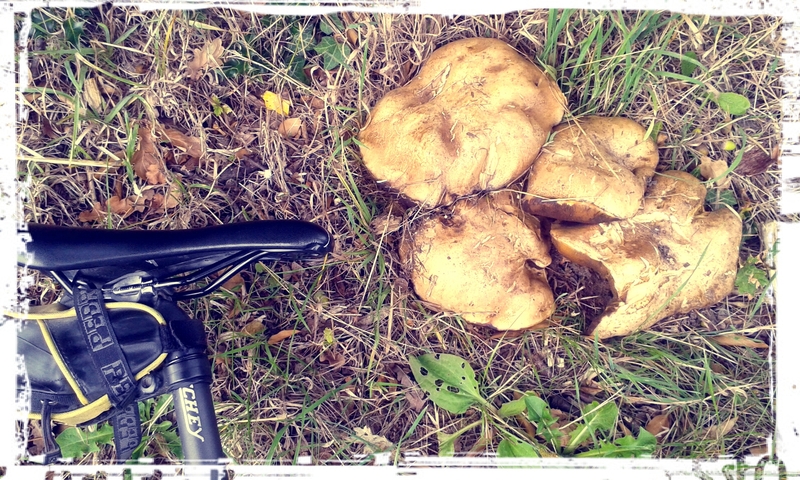 Bike saddle for scale: and this is one of the smaller mushrooms.